"If my journals should remain legible, or be perused at the end of 200 years, there will, even then, be little curious in them relative to travel, or the people, because our island is now so explored; our roads, in general, are so fine; and our speed has reach'd the summit." Or so one late eighteenth century traveller thought, reminding us that the English tourist industry is not the modern creation we often suppose. In this fascinating and original study Ian Ousby investigates the landmarks chosen by the English for their leisure travel over the centuries. He looks in particular at four types of attraction still prominent on the tourist map of England: literary shrines, country houses, picturesque ruins and the natural landscape. All these first became objects of fashionable attention during the eighteenth century, when improvements in transport combined with a spirit of practical inquiry to breed the first generation of travellers who called themselves 'tourists'. 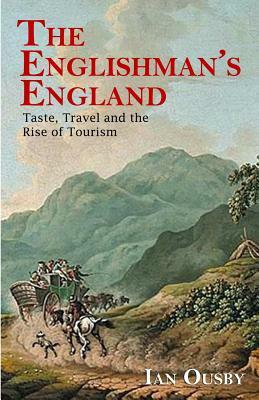 Drawing on a wide range of sources - journals, travel books and guidebooks, novels and poems, as well as many engravings - Ian Ousby traces the canons of taste which led the early tourists to seek out places like Stratford-upon-Avon, Chatsworth, Tintern Abbey and the Lake District, and records the stages by which these places acquired the trappings of the tourist attraction. Above all, he shows the development not just of an industry but of a state of mind marked, from its earliest phase, by the underlying fear that tourism is fated to spoil or even destroy the very thing it most admires.